Mojoy: Just for remembrance sake! Ellie's Adoption Day! Just for remembrance sake! Ellie's Adoption Day! Lots of you stated you could remember Ellie's special day too! Even down to the matching monogrammed dresses! So here is your trip down memory lane! September 2008. Did you remember that we had Gabbi Girl... but only by the skin of our teeth? I think she was about 2 weeks old at the time! And did you happen to notice in Gabbi Girl's special day pics that she is once again in a light blue dress with brown monogram? Do you think that was an accident?! And did you notice that me, Todd, Ellie and Gabbi all coordinated?! I intend to have both of their "special days" framed and hung together in the new house. And how cute that they have on similar outfits? I mean, really.... how cute! Did you happen to recall Ellie trying to help Judge Marchman sign her own documents?! And that we had an entourage at that signing too!? and as for the question regarding the difference in their ages at their respective adoption days... well.... there are a lot of hoops that one must jump through to get all documents required to finalize one of these deals. Our original attorney/ social worker was from New Orleans. She decided she would not be handling any home studies anymore, so we had to start over with the process of home studies, paperwork and such when we were really close to going to court with Gabbi Girl. It just took us several months more to get all the ducks in a row. But, nevertheless, she is a Groves now. Yep... just special girls all around! Who'd a thunk it. Todd and I were 38 when all these blessings were heaped on us! And now, at 41, we get to keep on experiencing all this goodness. We are thankful! P.S. Happy Birthday to Granddad!!! We look forward to seeing you in exactly a month!! thanks for taking us back to ellie's special day too and explaining the time frame difference. The family pics will be so pretty hanging together. You may still need a baby boy in blue to make a nice trio of pics! i think since staci had 4 babies, you need 4 babies too! twin boys is what you need - lol!!! Just wanted to let you know how much I love and enjoy reading your blog! Congrats on your Gabbi Girl's special day! The trip down memory lane was very special too, I remember that day! Hugs from Fort Worth! Thanks for taking us down memory lane with Ellie. Such love&happiness! Thanks for the walk down memory lane. Gabbi is certainly blessed to join such an amazing family/extended family. Those photos are going to look amazing in the BAH. Such an important milestone to document! I really can't thank you enough for sharing so much joy with all of us! I can't tell you how many times I've come to your blog and left with more joy than before! It really is awesome to watch your girls grow, learn and have a blast. I'm totally addicted to the Icee's too! I have a Walgreens a few block away that just put a Icee machine in and we visit often. I love me some Slurpee too!! Thanks! Your last two posts have been treasures that last forever. We can't wait for this next month to psss. Love, Granddad. Aww....how sweet!! Doesn't seem like that's been too long ago at all....And NO of course all that coordinating and matching and such was not an accident with you girl---you've always got it going on!! I wouldn't expect anything less :) I was looking at those pictures of Ellie and thinking "HA" bet you didn't know that innocent little baby would be the "teenager wanna-be" that she is now, huh? She's got one fun personality, but then how could she not with a fun family like she has? Thanks for sharing! Love ya'll!! Thank you for all the pictures of today and yesterday. Your girls are so precious. When I tell you they give me my morning smile every morning, I mean exactly that. They start my day off with a smile, every day! I appreciate you letting us all be a part of your family. 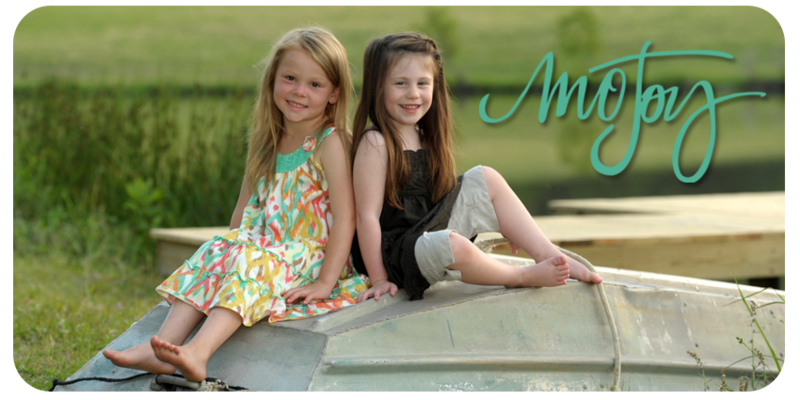 I love those two little girls! Thank you for sharing your pictures of both days!! It even looks like Todd was keeping it real!! Looks like he is in same outfit and sunglasses around the neck! Haha... Those girls are so blessed to have wonderful parents like the two of you! I can relate, who would have thought after raising our kids to be adults and the "last kid" leaving for college, who would have "thunk' a baby girl would be placed in our lives permanently!! I was 42, and the hubby was 48!! We welcomed her w/open arms! She joins 4 grandbabies and the household is now abuzz w/kids ONCE AGAIN!!! I so remember that day of Ellie's adoption as if it was yesterday! I know you put those dresses in a "hope chest"!! Congratulations again Mo and Todd!!! You are just too cool for school girl! Coordinating those outfits!! Thanks for the trip down memory lane!